Do you enjoy meeting and serving people? Do you have a good driving record and possess a valid driving license? If the answer is yes, you are well on your way to joining our team! 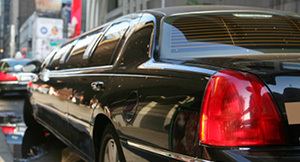 We are always looking for professional full-time limo drivers. If you think Burlington Limousine Services would be a good fit for your future, we'd like to hear from you. You can apply using the form below. Thank You, for your interest in the employment with Burlington Limousine Services.